Having traveled overseas (especially in countries that have been war torn at sometime over the past 30 years) - the trend is less that of an aging population (i.e. the U.S.) but rather a high proportion of the population 25 and younger. That means the church's investment in the youth within that country is of paramount importance. 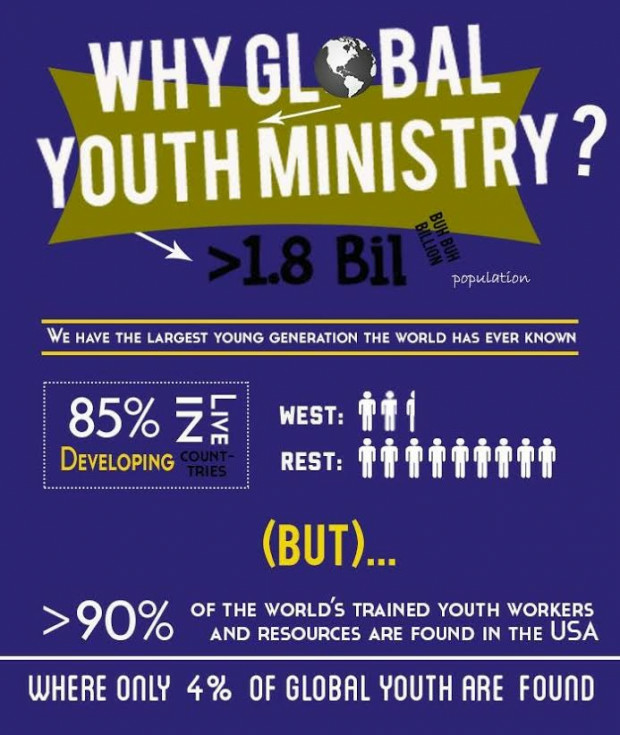 Below is an infographic illustrating the importance of the global church needing to focus on youth ministry and yet why the needed resources needed to accomplish that task are lacking. The global church needs to invest more time, energy, and resources to address global youth issues and unlock the potential that lies within this largely untapped source of transformation.